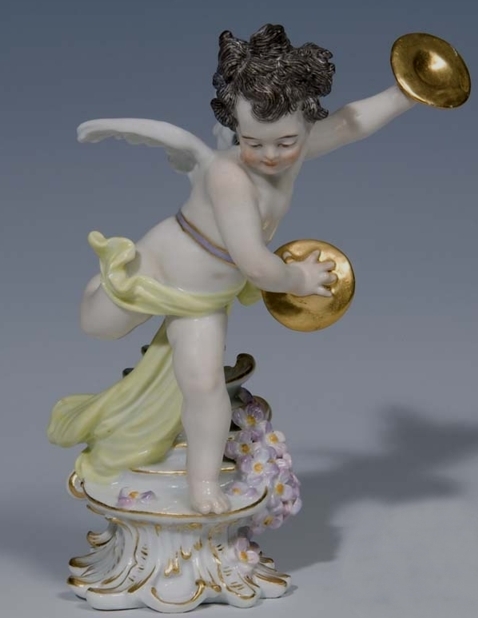 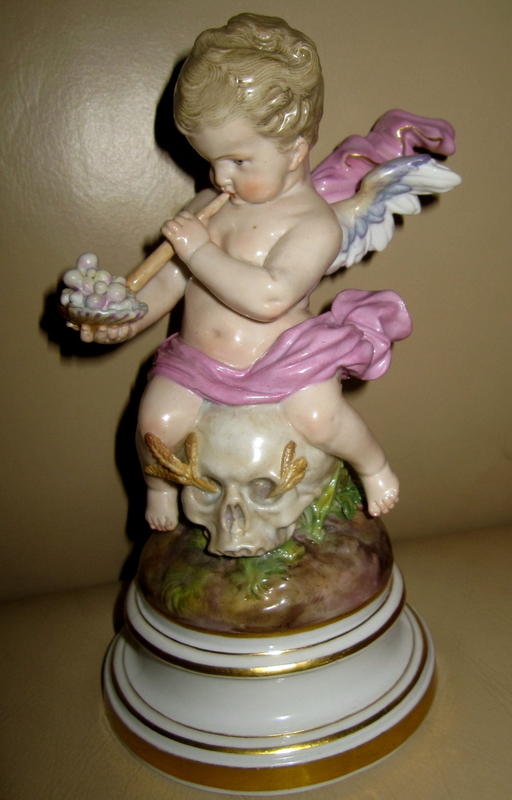 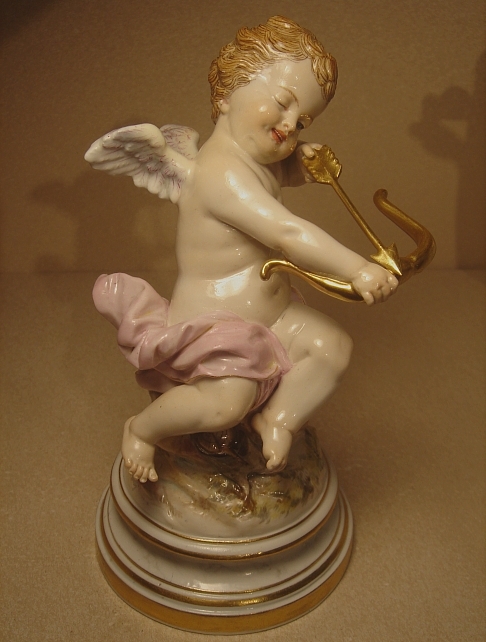 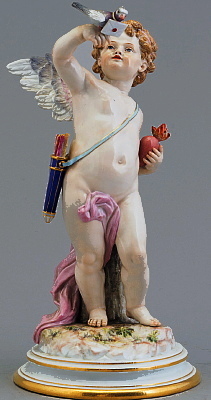 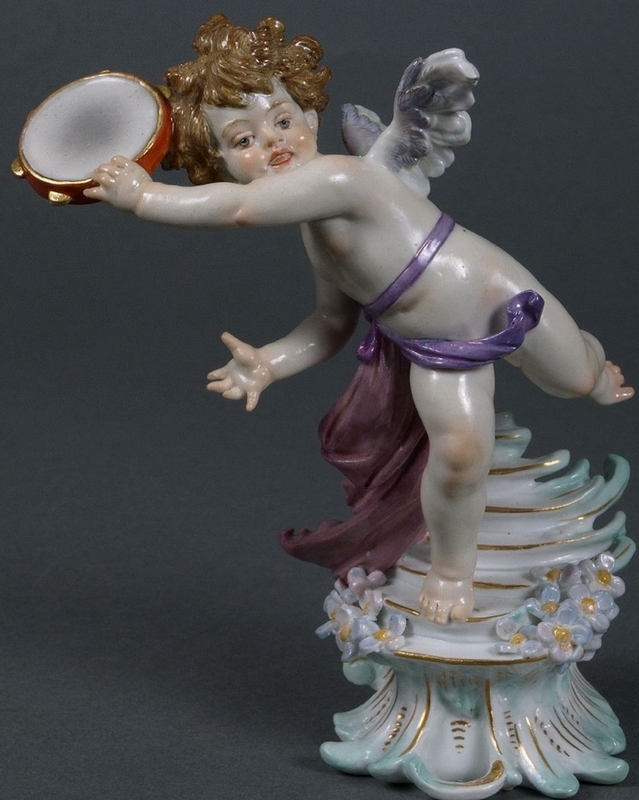 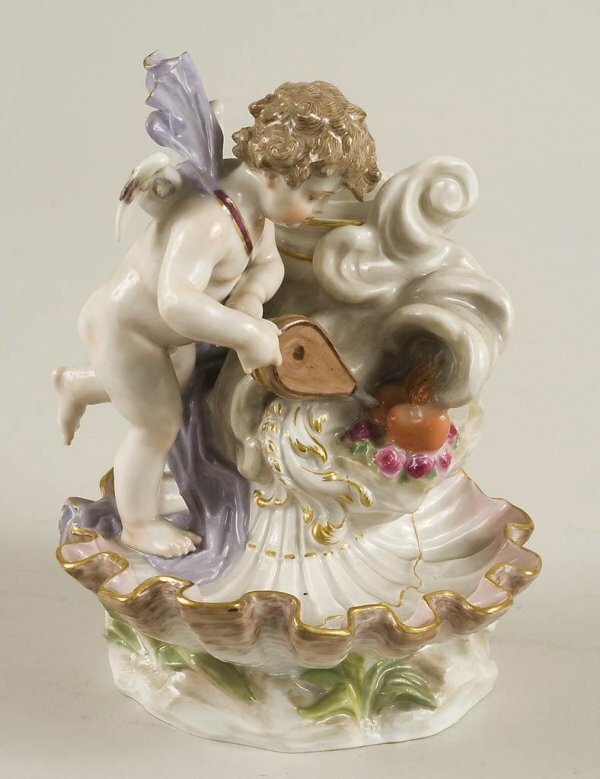 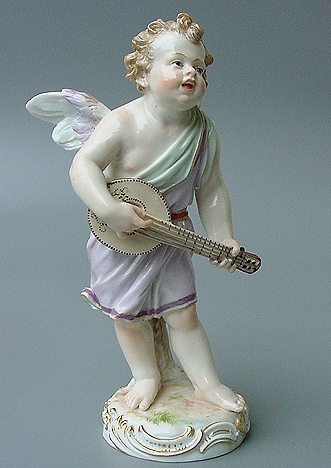 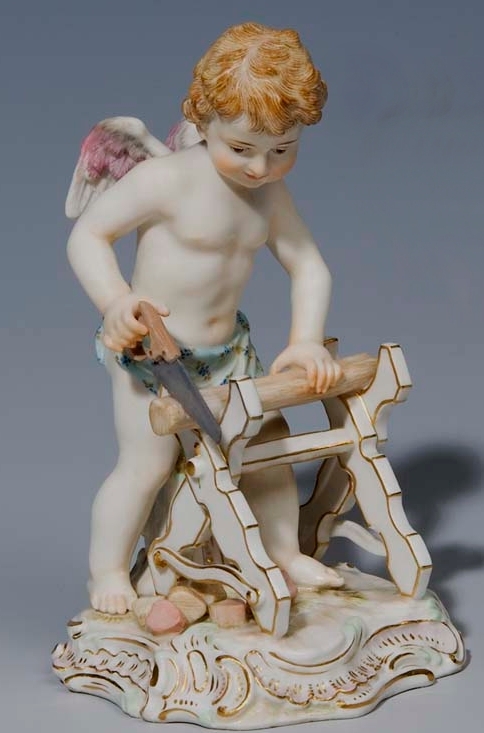 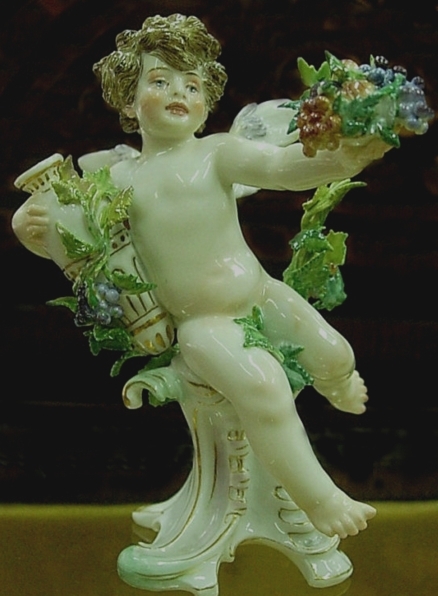 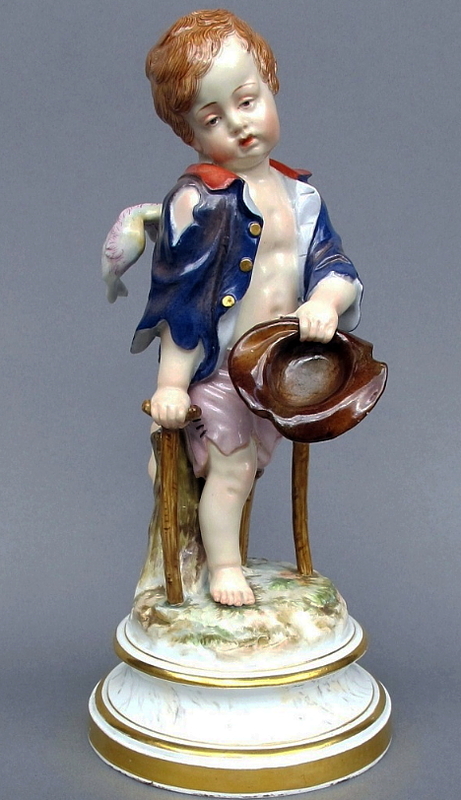 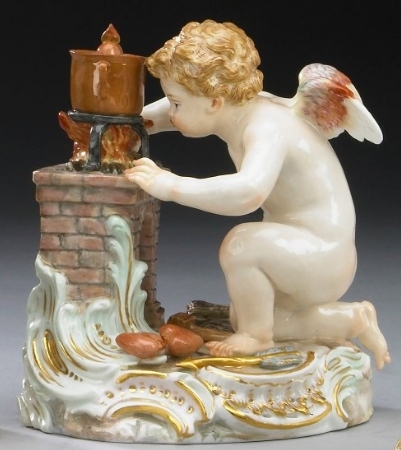 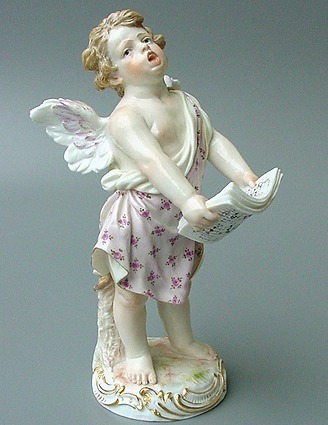 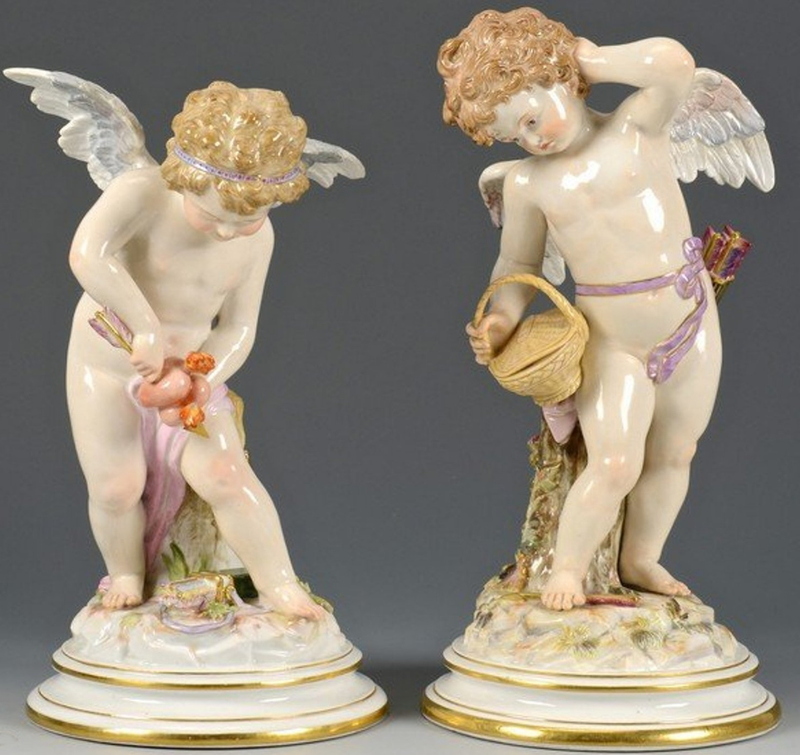 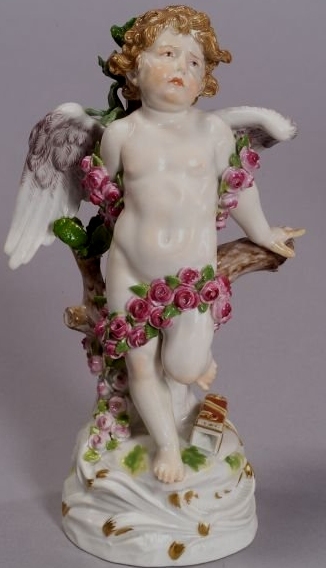 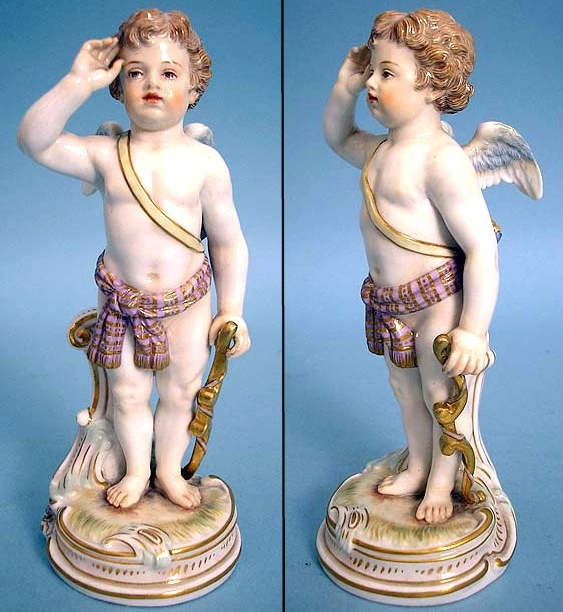 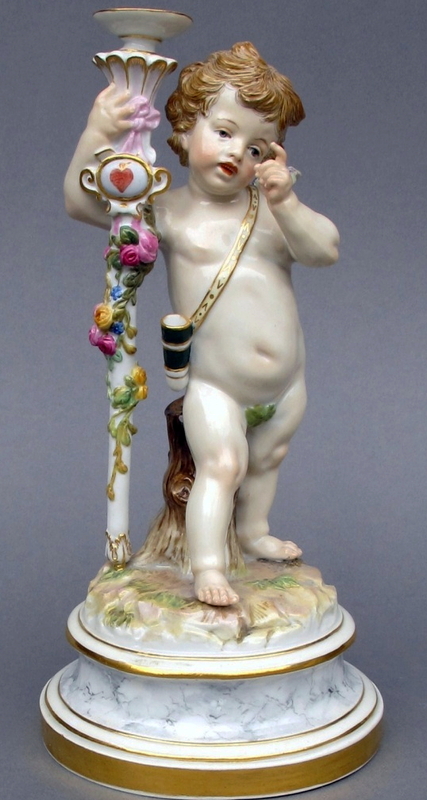 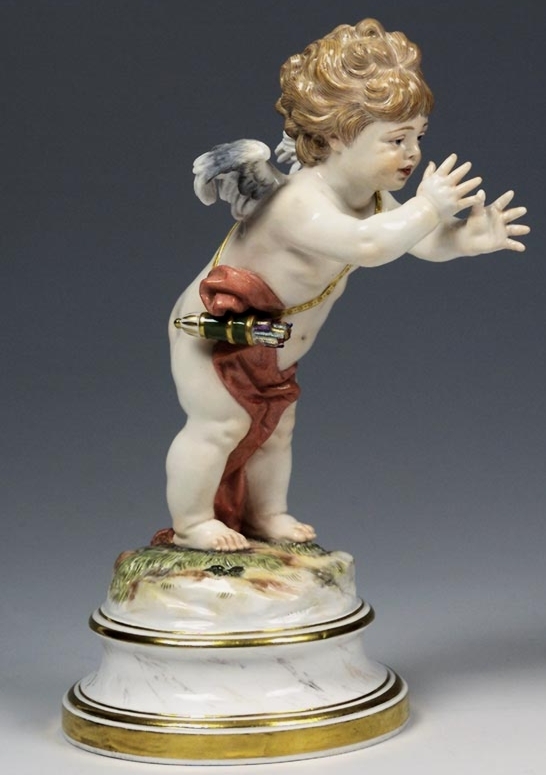 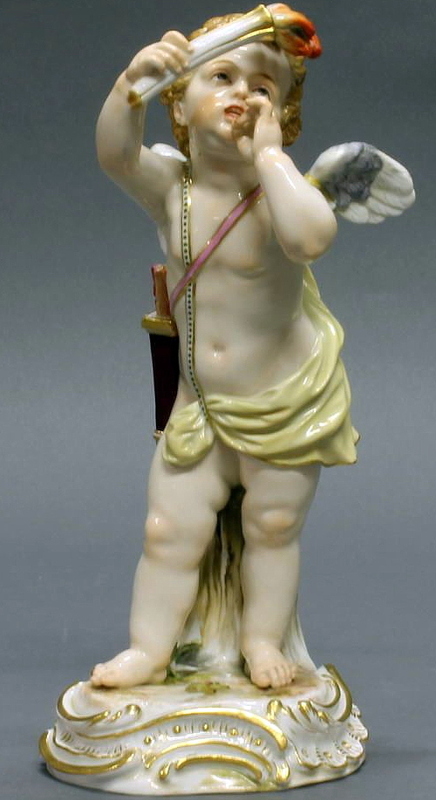 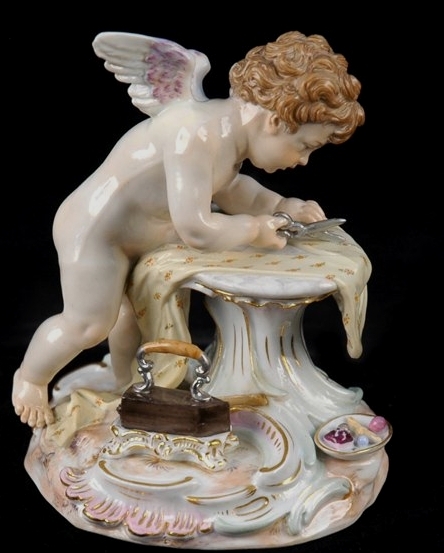 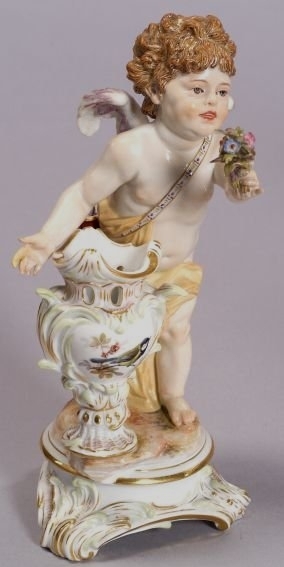 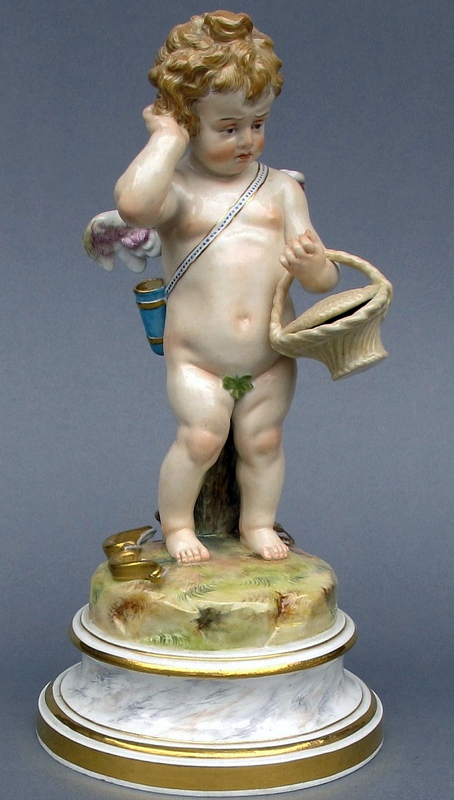 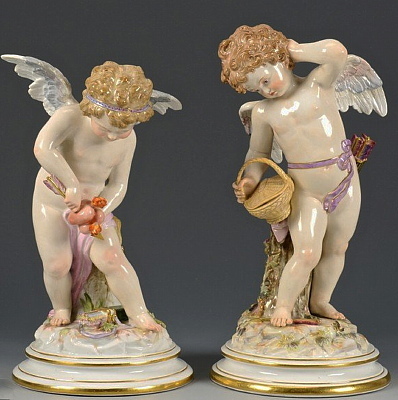 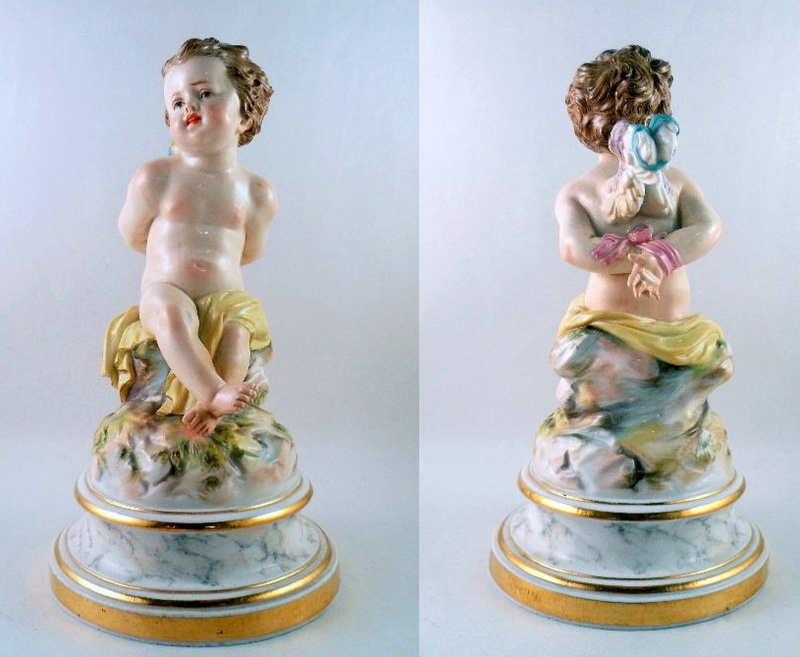 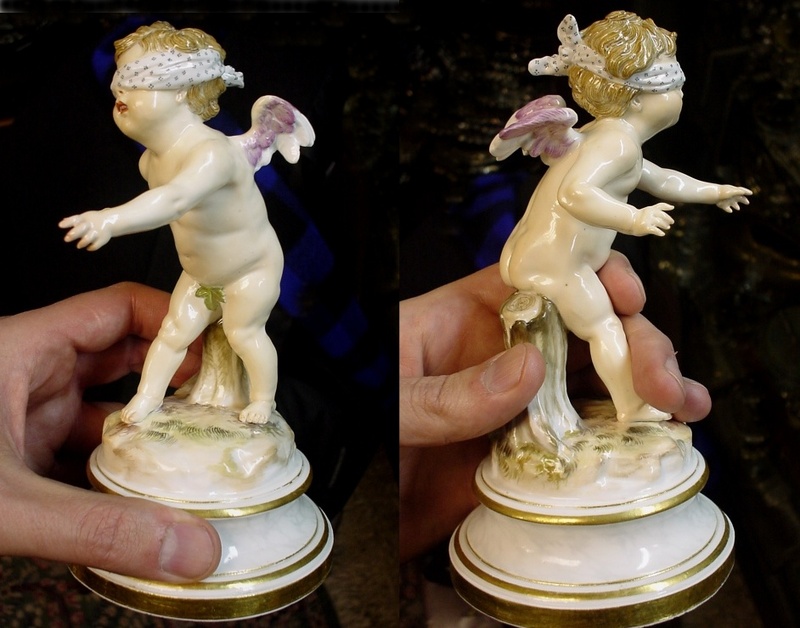 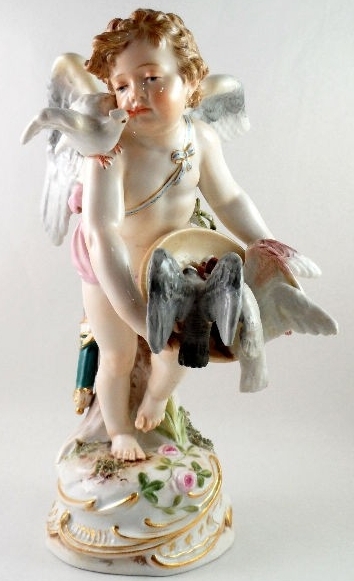 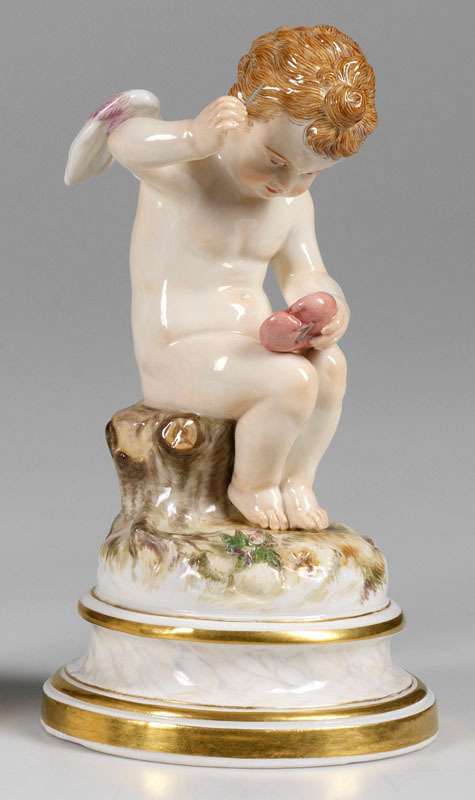 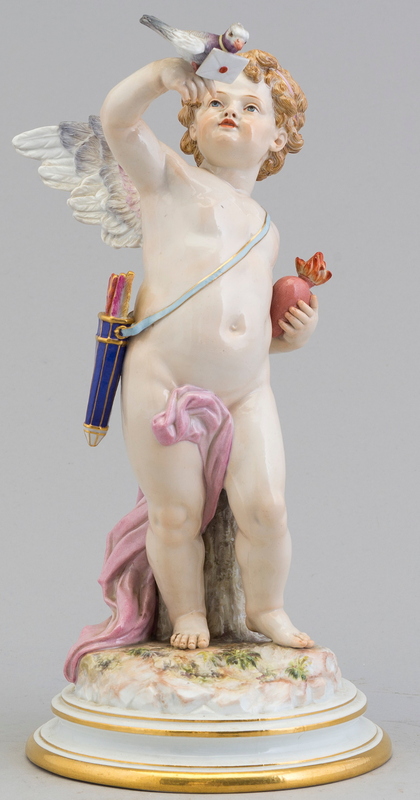 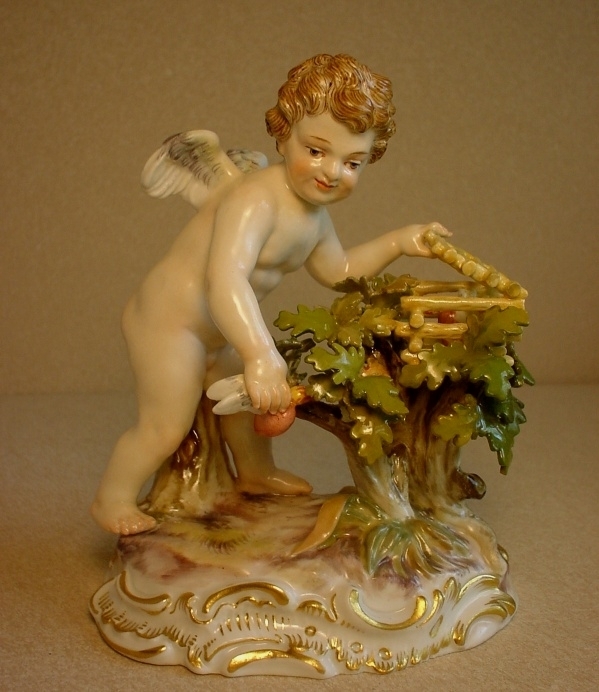 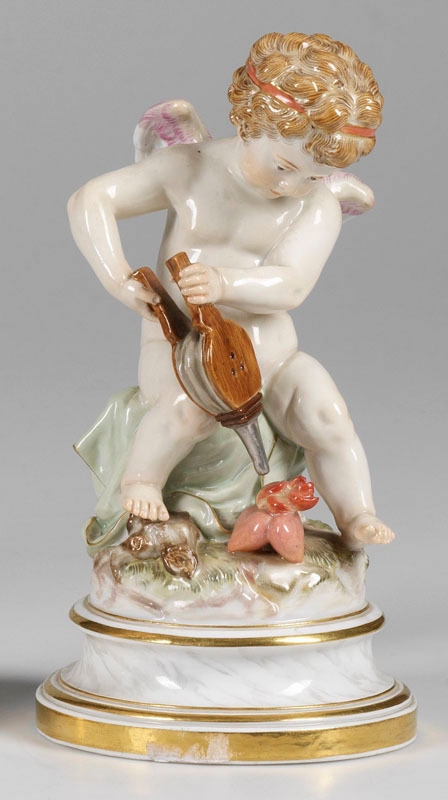 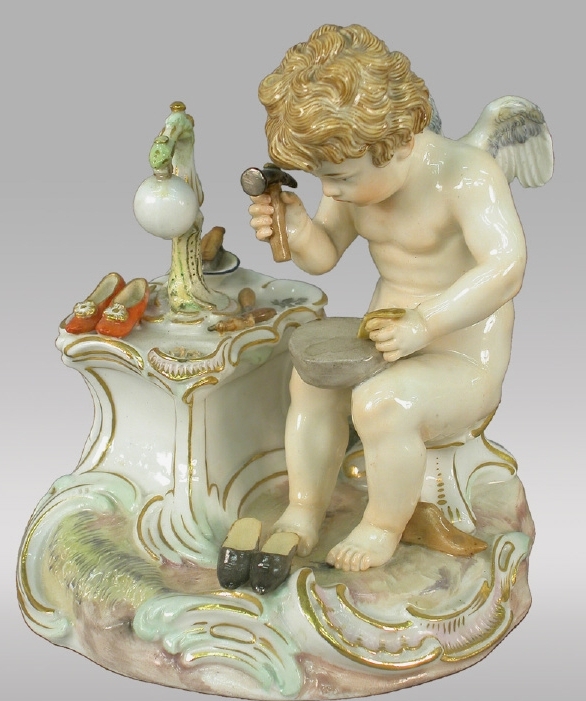 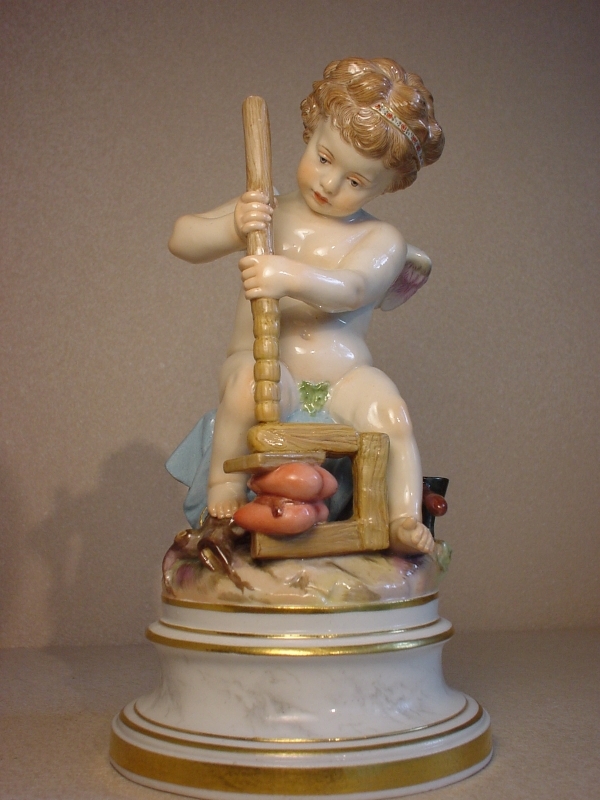 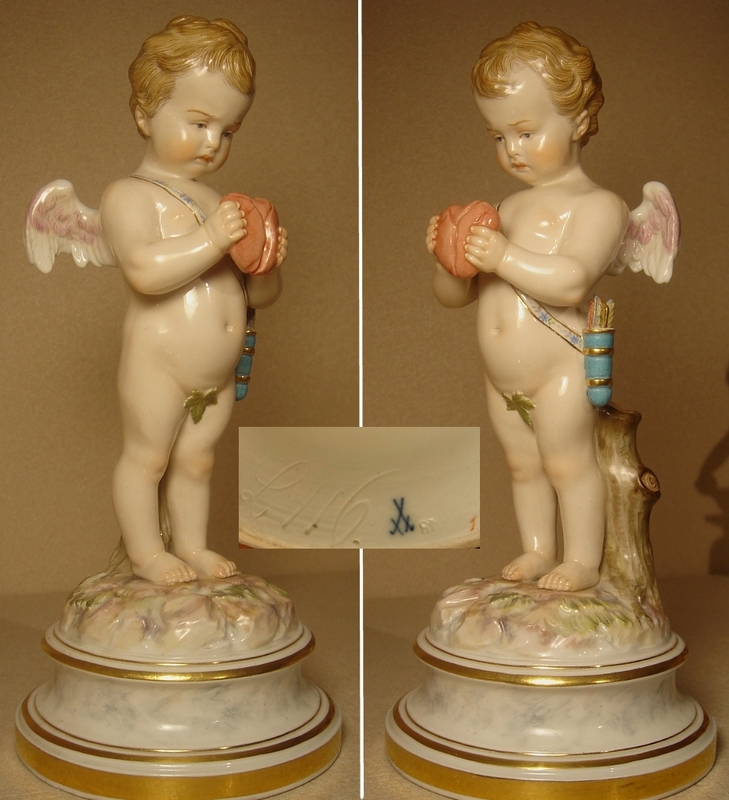 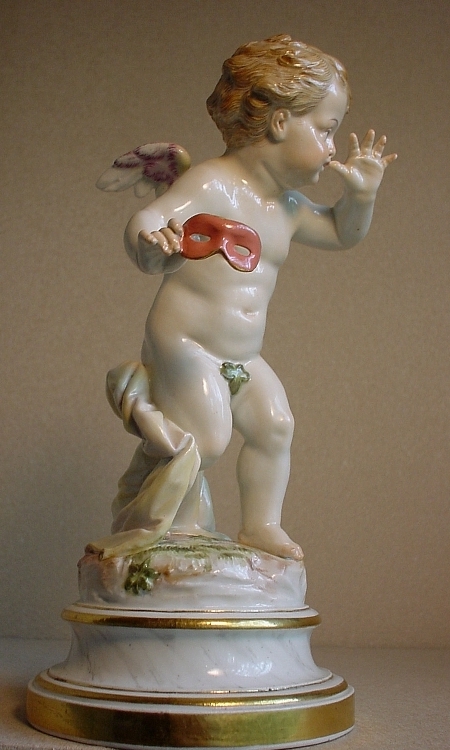 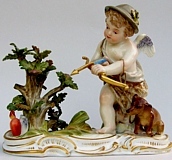 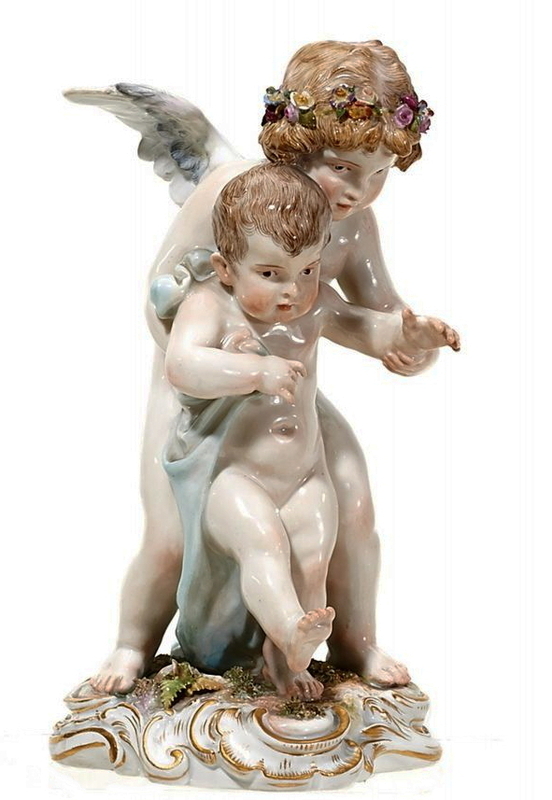 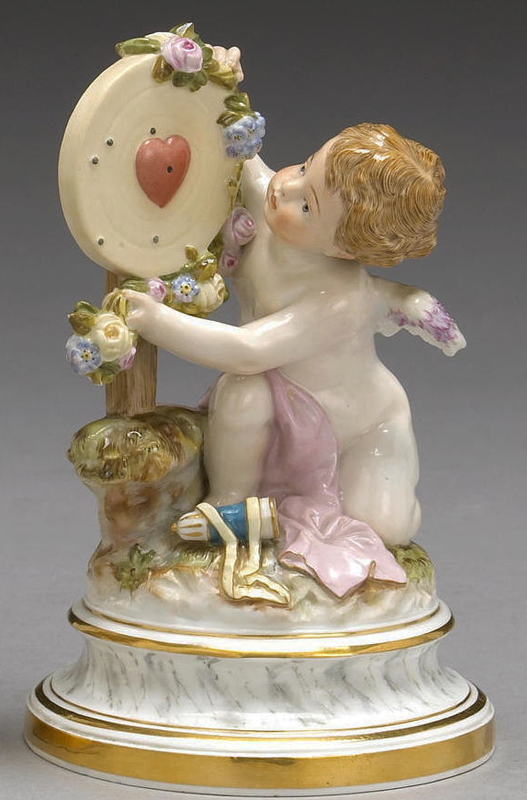 Meissen L-Series consists of 26 Cupid figures on "marble" pedestals, 6 1/2" to 8" high. 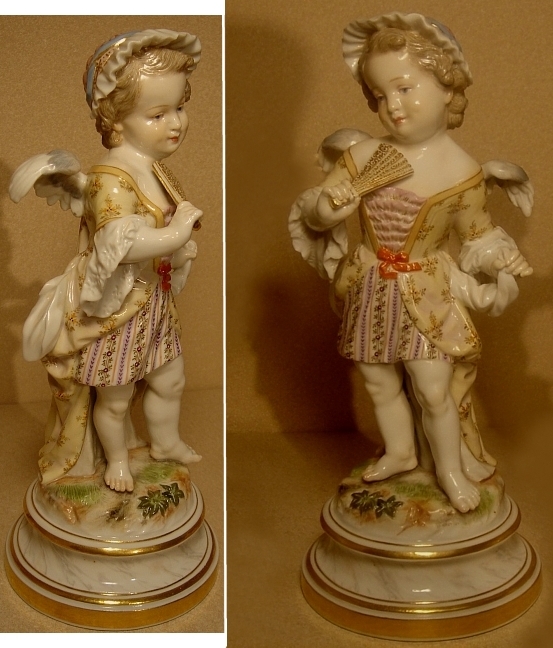 Tey were made from late 19th century thru early 20th century. 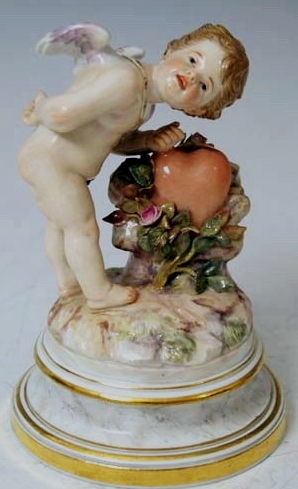 The value depends on quality, condition and age. 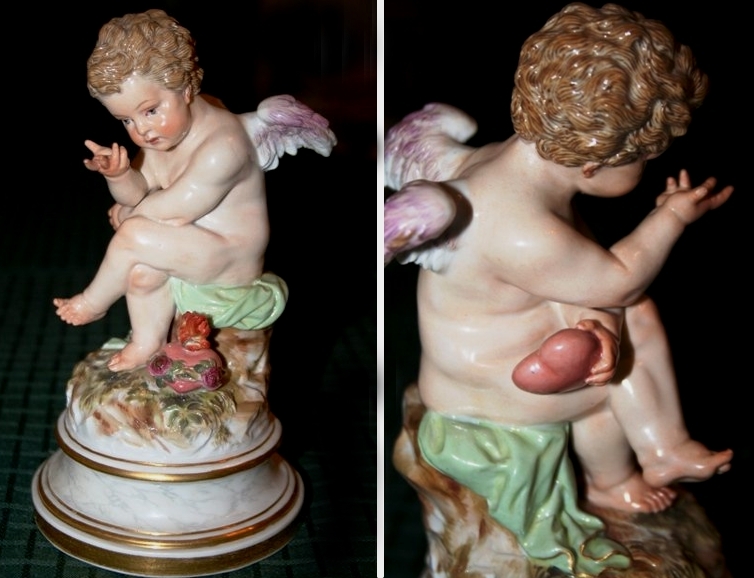 $1,000 average. 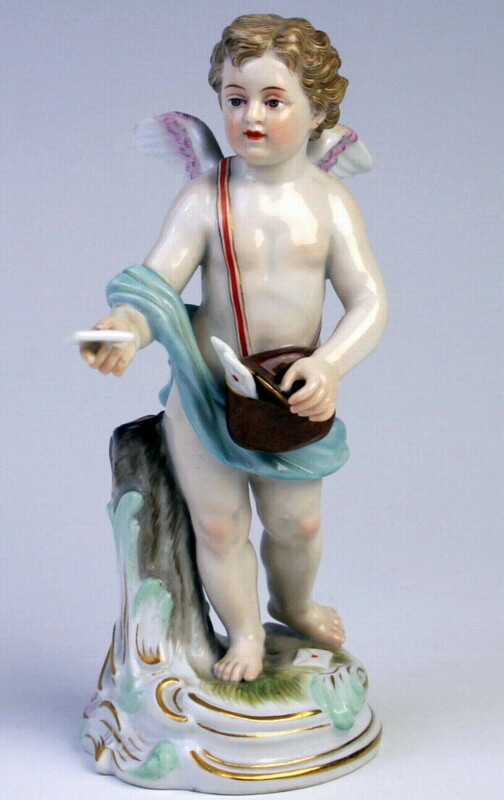 letter, another with a putto holding a dove delivering a love letter and one with a putto stabbing flaming hearts with his arrow. 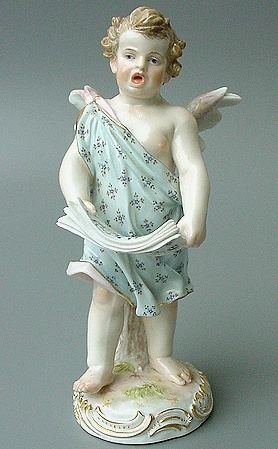 12". 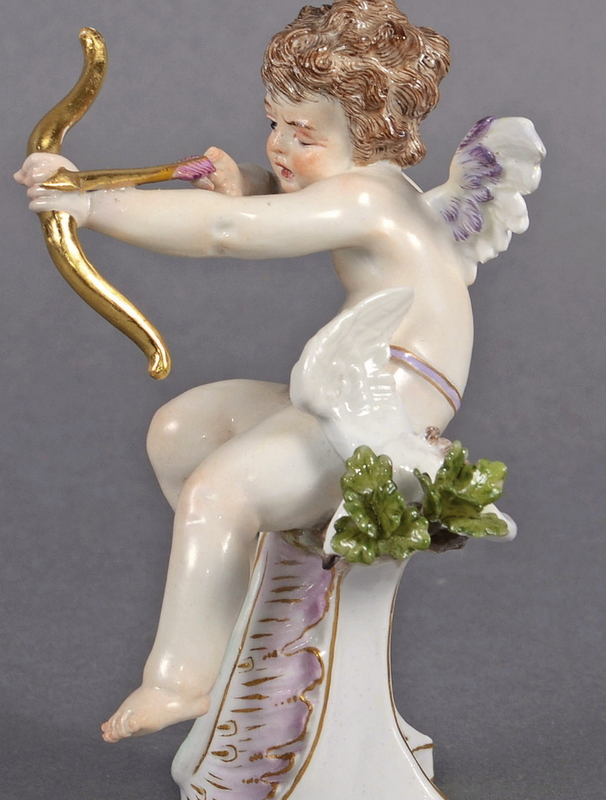 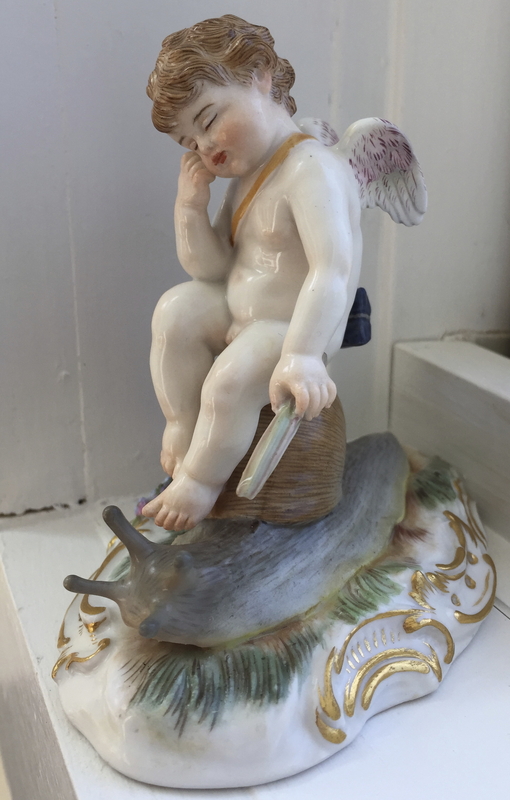 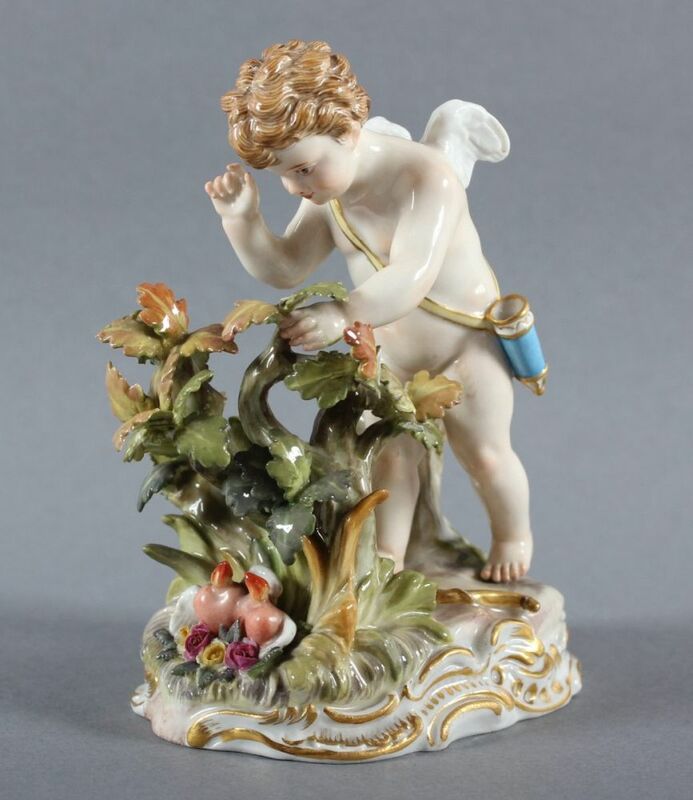 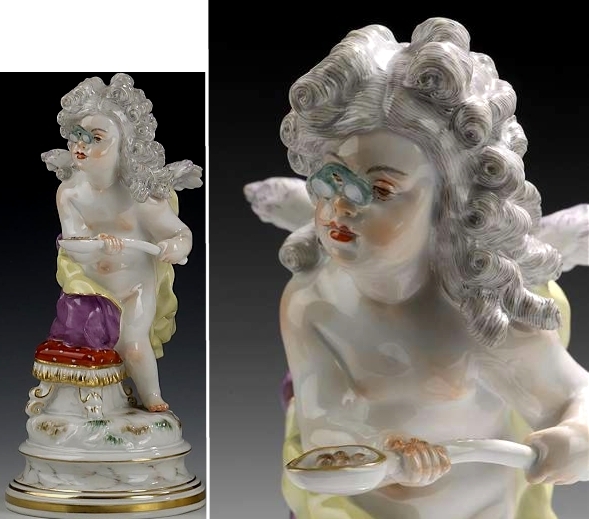 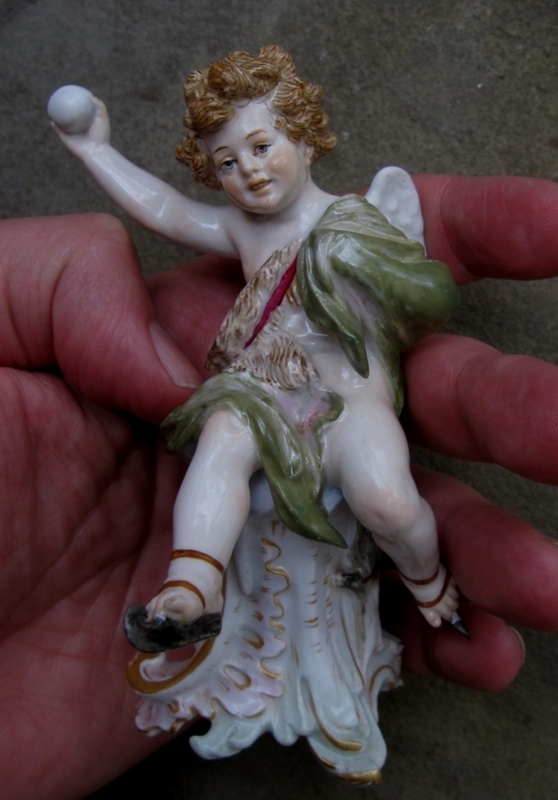 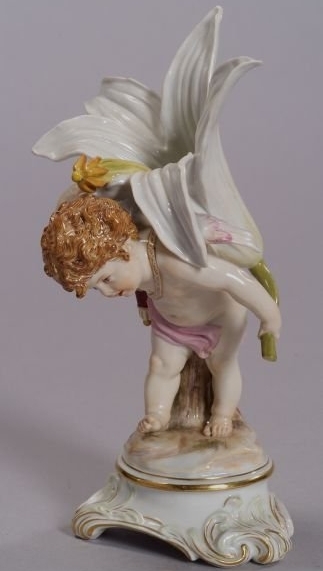 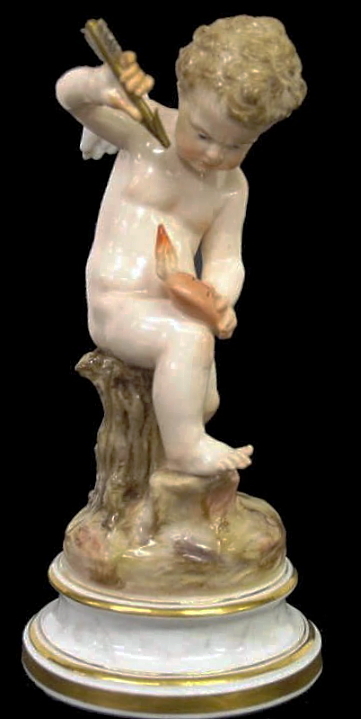 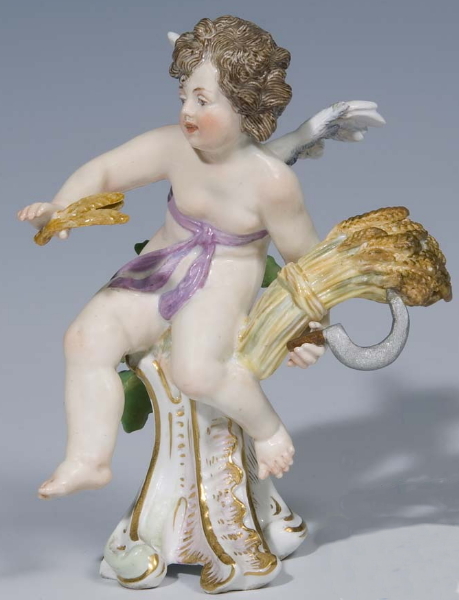 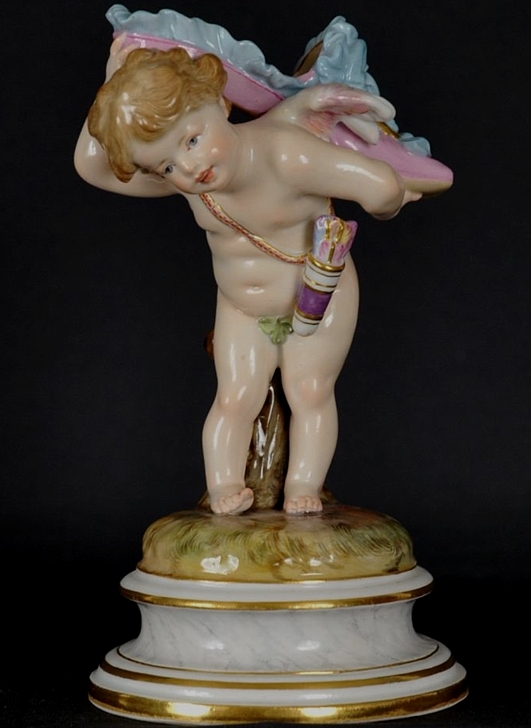 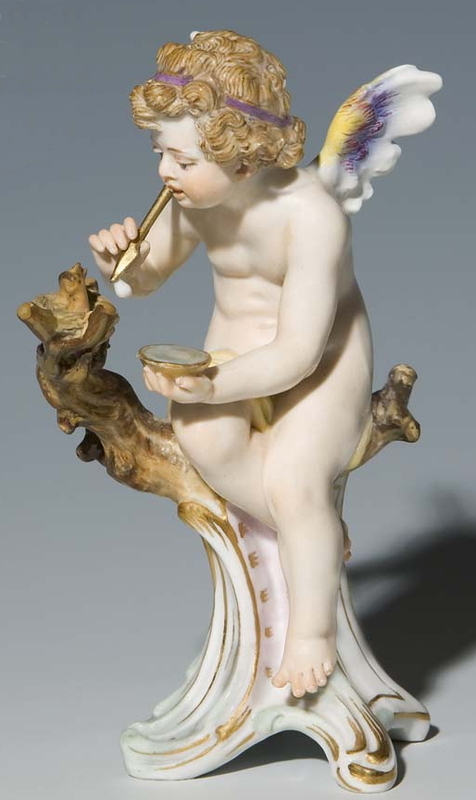 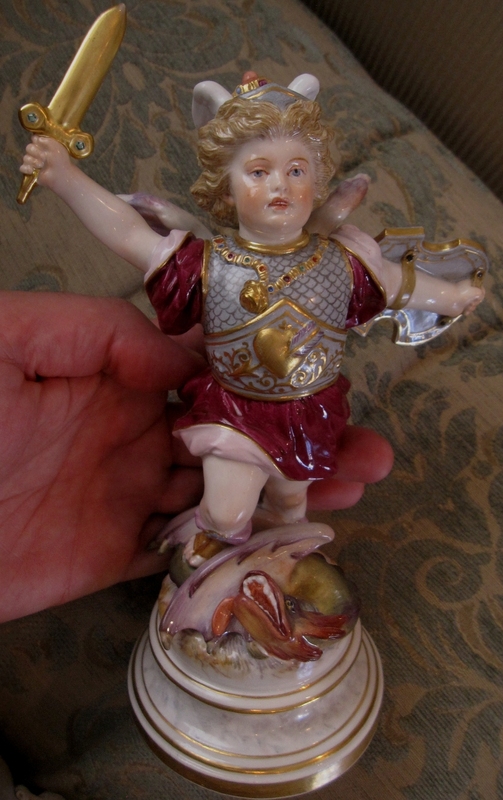 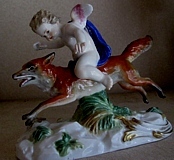 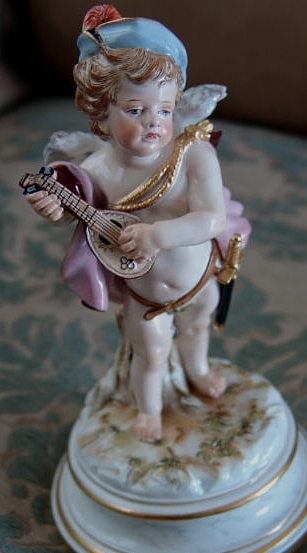 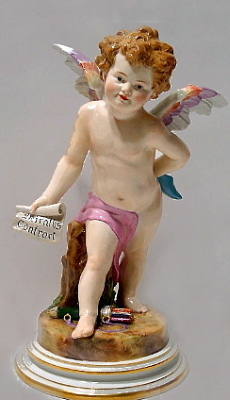 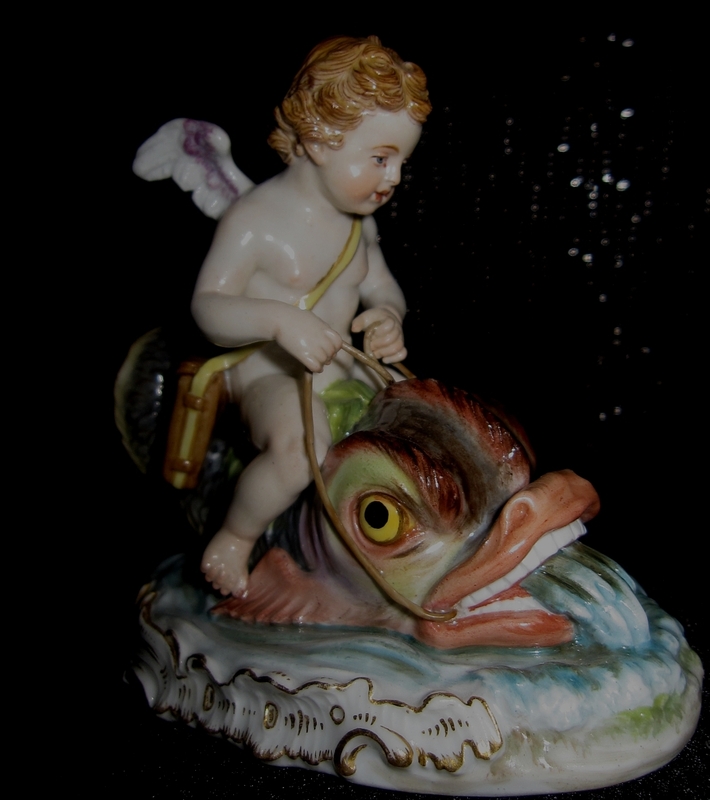 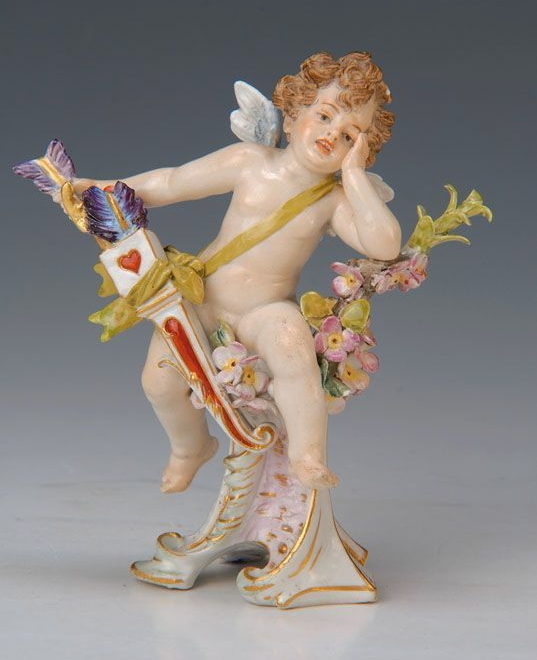 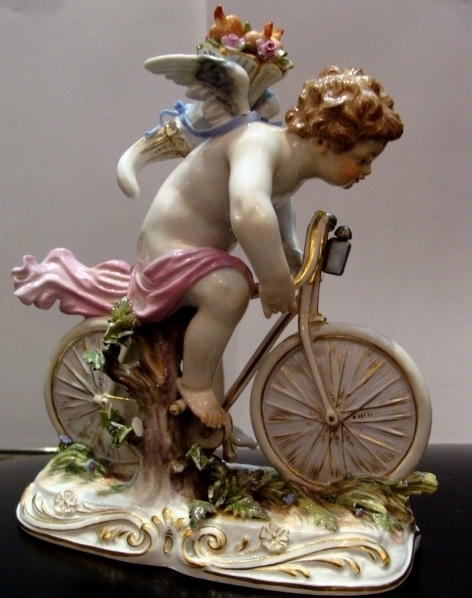 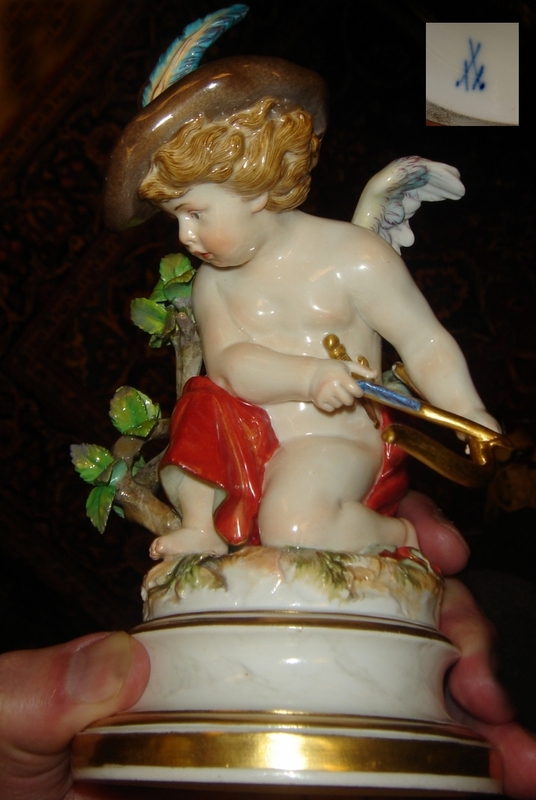 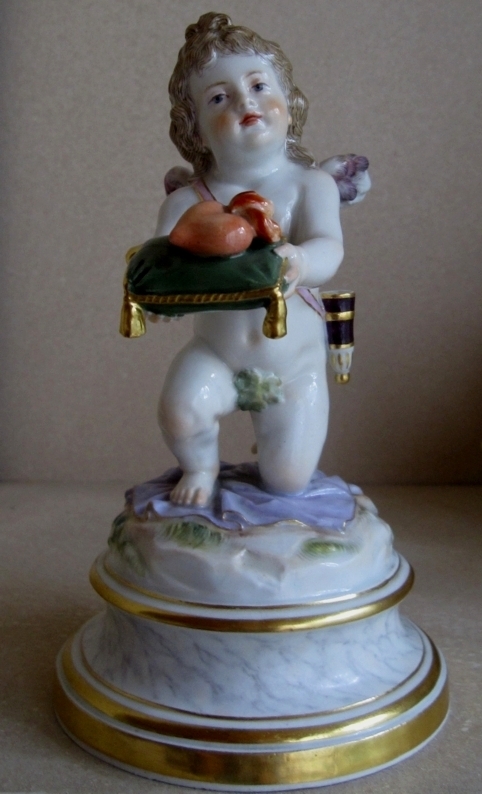 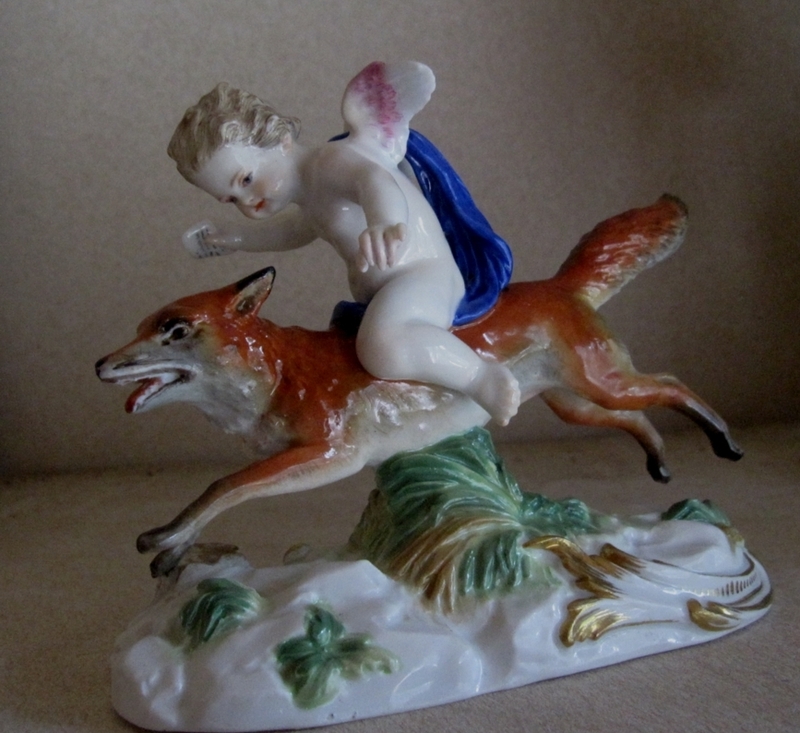 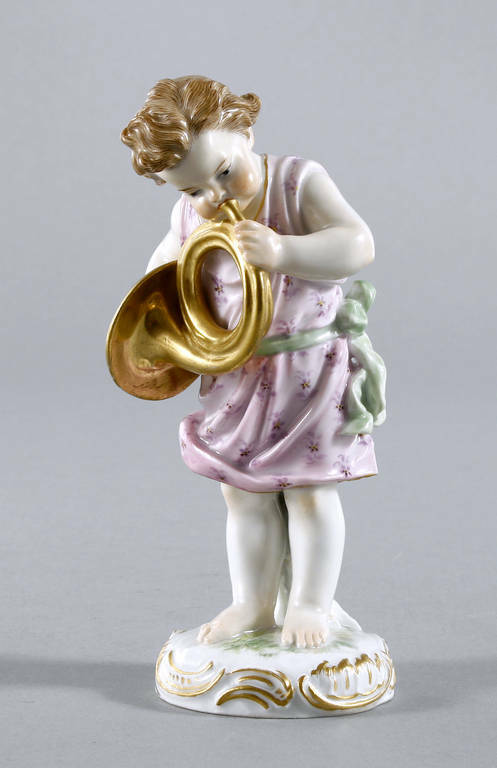 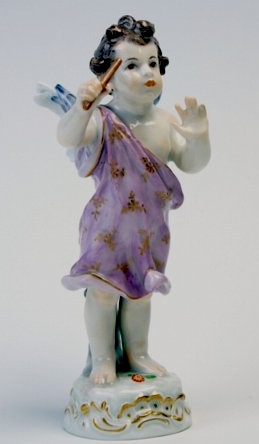 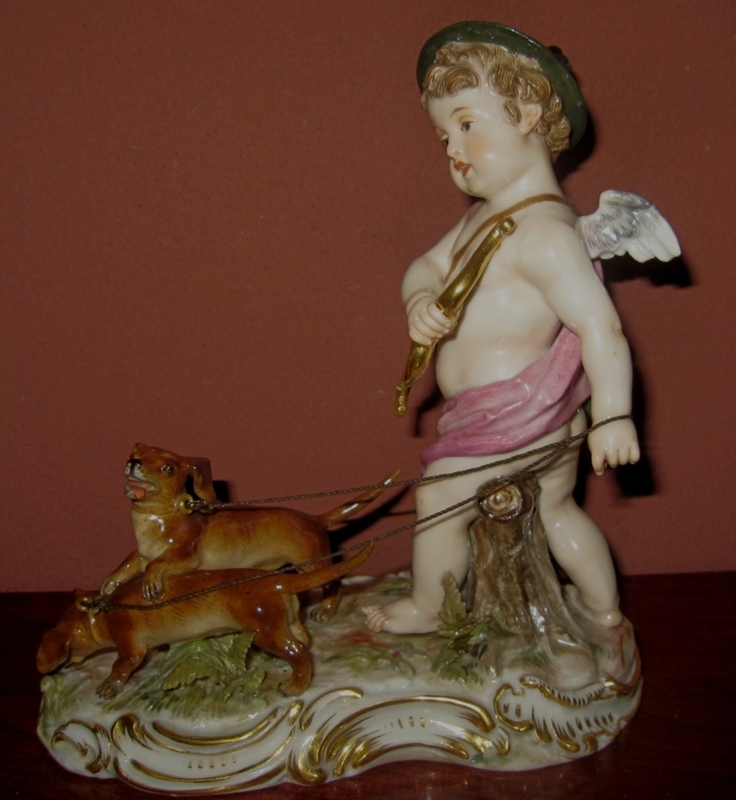 To find out what your Meissen cupid figurine is currently worth, please CONTACT US for a FREE online appraisal. 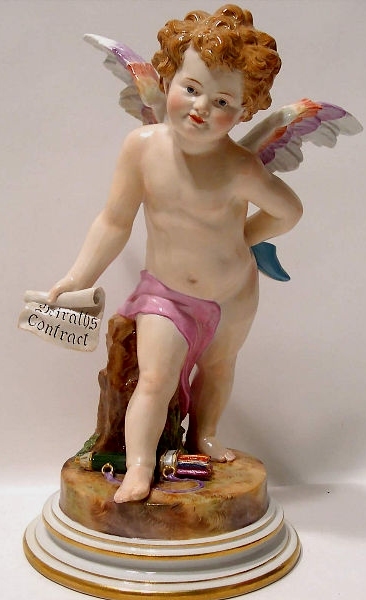 If you're looking to sell, we can often find a buyer for you within as little as 24 hours.